Teak is a tropical hardwood timber that is beautiful, durable and has long been a popular choice for designer outdoor furniture. Teak’s high oil content naturally protects this dark, golden timber against water damage, rot, and wood-boring insects, ensuring that teak wood furniture can withstand the stress of being outdoors for many years. Before considering purchasing teak wood furniture for your outdoor areas – whether a dining setting or modern outdoor living setting with sofas and a coffee table – here are five factors to keep in mind. Teak’s beauty and durability make it a high-end product used to create high-quality garden furniture. 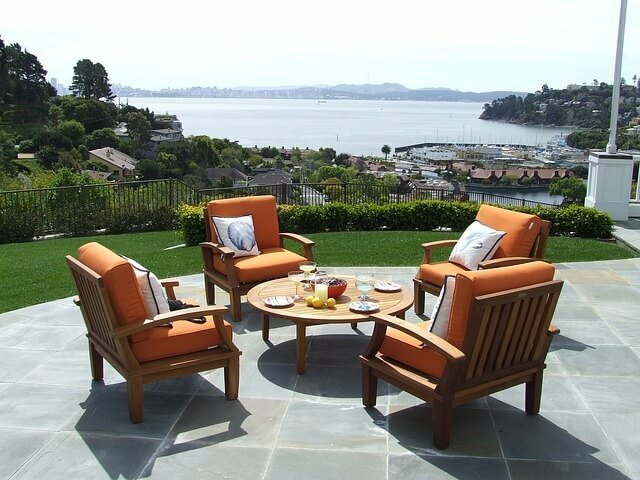 Outdoor teak wood furniture is an investment in lasting quality at a commensurate price. 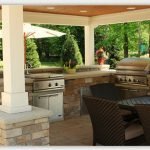 If you invest in a quality teak outdoor setting, you will want to choose your decorating style wisely in order to ensure you’ll be happy with it for many years to come. Many people avoid purchasing teak furniture as its popularity as a furnishing timber has contributed to deforestation and damage to delicate rainforest ecosystems in South and South-East Asia. These days, however, it’s possible to find teak grown on plantations using sustainable harvesting methods. Simply check the labeling on any teak furniture you are considering buying to ensure it is FSC-certified. Forest Stewardship Council certification ensures the timber was plantation-grown under strict conditions that include maintaining and restoring the original ecosystem and respecting the needs of indigenous peoples in the location. When purchasing teak wood furniture, you will generally be presented with three options of finishes: natural and unsealed, sealed and weathered. If left in its natural state and exposed to the elements, teak turns a silvery gray color. If this look appeals to you, then all you need to do is buy natural and unsealed or pre-weathered teak furniture and let the sun and rain do the rest. If you want to retain the rich, dark color of the timber, you will need to purchase furniture that has had a sealant applied, or apply one yourself when you take the furniture home. 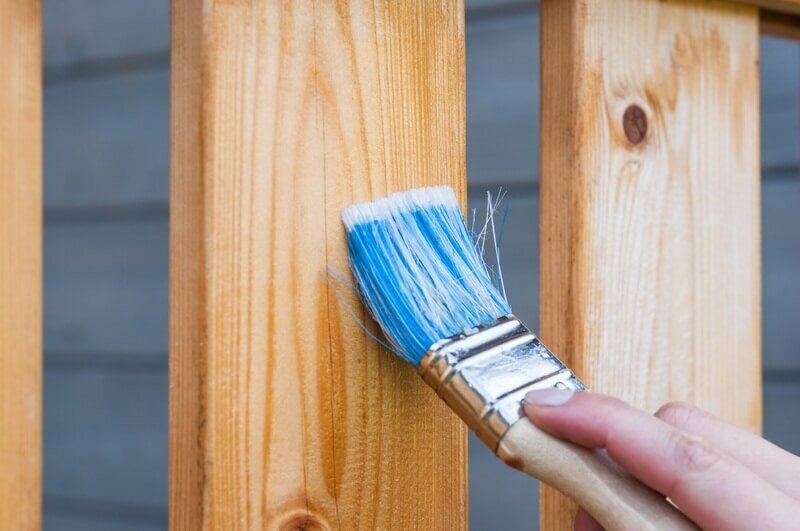 A good quality sealant will slow down the weathering process and help your furniture retain its original color. Ask your retailer for further advice on ongoing maintenance if you want to preserve the color. Oiling your teak can help maintain its rich color, however, it can also cause mold and mildewing. When considering whether or not to oil your teak furniture, take into account where it is placed. Teak outdoor furniture placed undercover or in constant shade will not weather as quickly as it would if placed in direct sunlight. Your furniture will only need a coat of oil once or twice a year in order to preserve its original color, however, it’s a good idea to consult your retailer when purchasing the furniture to ensure you use the best product for the job. At least once a year, your outdoor teak wood furniture will need a thorough cleaning to remove any dust, grime, and stains. Consult your retailer to find out which detergent is most suitable based on the finish of your teak furniture, then dilute it with water and scrub your furniture using a bristle brush. For really stubborn stains like red wine, you will need to use a specialized teak cleaner to remove them. In some cases, a mild sanding may be needed before applying the cleanser. Once more, consult your retailer or the furniture’s manufacturer before getting to work on the stain. These days, teak garden furniture is available in a range of classic and contemporary furniture designs for outdoor living – from dining in style to lounging in comfort. Choose well and be prepared to get many years of use and enjoyment from your teak outdoor furniture setting. Remember check valid coupon to save your money. Thanks for helping me learn more about teak furniture. I actually didn’t know that the placement of it could factor in how quickly it wears, like if it’s under shade or not. I’m kind of interested to learn if the climate could affect this as well, like if you live in an area that is cloudy and shady constantly if it can help the furniture last longer.